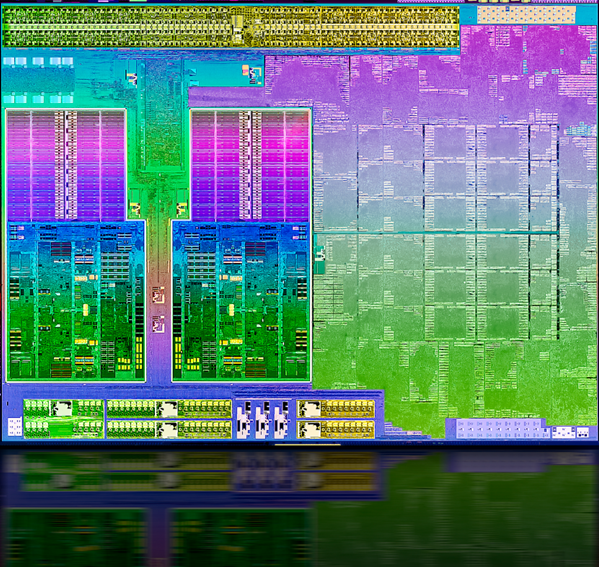 The AMD A10-4655M is a mobile low-voltage (LV) quad-core processor based on the Trinity architecture. Officially introduced in Q2 2012, it is the direct successor to the Llano A-series of APUs (Accelerated Processing Unit). The processing unit is manufactured in 32nm SOI and integrates a 2.0 GHz CPU (up to 2.8 GHz w/ Turbo Core) with a relatively fast Radeon HD 7620G GPU alongside a dual-channel memory controller, video de- and encoders and a northbridge. The CPU cores are based on a reworked Bulldozer architecture, called Piledriver. Although marketed as a quad-core processor, the A10-4655M includes only two modules with four integer-cores and two floating-point cores total. As a result, the CPU is not a true quad-core processor. In terms of raw general performance, the A10-4655M performs similar to the A8-4500M and the Llano-based A8-3500M. Single-threaded workloads can especially benefit from the new architecture and the updated Turbo Core functionality. If compared to Intels Core-i3-series, the A10-4655M offers less performance in most cases. Nonetheless, CPU performance from the AMD processor is sufficient for all daily workloads like Office, Internet browsing and even light video editing or gaming. The integrated DirectX 11-compatible Radeon HD 7620G offers all 384 shader cores of the Trinity chip and, thanks to Turbo Core, will operate anywhere between 360 to 497 MHz depending on the current application demand. On average, the performance of the HD 7620G GPU is comparable to a dedicated Radeon HD 7610M and even faster than the HD Graphics 4000 as found in Intel’s Ivy Bridge. The power consumption of the A10-4655M APU is rated at 25 Watt TDP and is therefore comparable to previous LV-processors. Consequently, the A10-4655M is best suited for 12-inch notebooks or larger.